When flying to or from Denver, the best way of enjoying a superb travel experience is using Bolt Jets, the leaders in private aviation. We pride ourselves in tailoring the ultimate charter flight with superb comfort and infinite style. Travelling by affordable private jet to Denver or taking a helicopter guarantees timely arrival, in luxury! Bolt Jets has access to more than 1,200 different private charter jets from anywhere in the world so there’s something for every trip, whether it’s on business or for leisure purposes. We also have an unrivalled concierge team, available for all of our Bolt Jets customers to make sure every detail is perfect. So if there’s a pending corporate meeting in Denver or a ladies’ shopping trip, perhaps a bachelor or bachelorette party – there’s no better way to get to this busy city than in style with Bolt Jets. We are the premium private aviation company. Clients who use Bolt Jets have access to our highly qualified, helpful concierge service available all day, every day, 365 days a year. We want to make sure every private charter flight or helicopter hire to Denver is top notch and that’s why service at Bolt Jets is so efficient. There’s so much to do in Denver, it’s a good idea to take the opportunity when travelling by private jet and extend a stay to pack everything in! 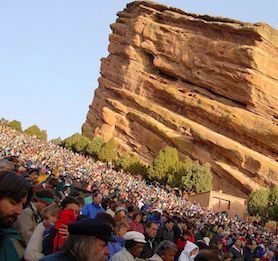 Denver is the capital of Colorado and home to more than 3 million people. It is situated along the east of the Rocky Mountains so if hiking is on the to-do list, it’s a great place to experience it. Of course, taking one of Bolt Jets private charters is the best way to enjoy Denver’s stupendous views! Don’t miss downtown Denver which is a unique combination of Wild West and city chic. To really delve into cowboy culture, go and see the 16th Street Mall which has many old bookshops full of cowboy memorabilia and printed materials. There are even boutiques where shoppers can buy cowboy gear. Lower Downtown is the place to experience the food on offer in Denver, with 28 square blocks of restaurants, bars and pubs – many of these places offer live music too which only adds to the ambience. Take a trip to the aquarium which is Downtown Denver and houses over 1 million gallons of underwater, highlighting oceanic ecosystems and freshwater too. There are more than 500 varieties of fish to marvel at. Try out the interactive touch tank where visitors can pet stingrays and don’t miss the shipwreck and coral lagoon. Green fingered people will get a lot out of a visit to the Botanic Gardens which has a large amphitheatre used for concerts in the summer. There’s a conservatory, rotating exhibits and many different themed gardens to admire. This is a great place to relax, kick back and experience nature. 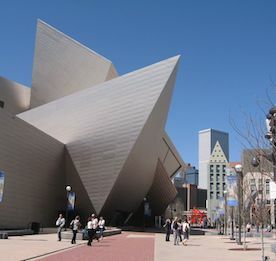 Denver is also home to many museums such as the Morrison National History Museum, the Denver Art Museum and the Denver Museum of Nature and Science. The latter offers IMAX movies and astronomy demonstrations. The Morrison National History Museum boasts an eclectic collection of dinosaur bones and plenty of exciting prehistoric information. The art museum houses international work and a generous 19th century photography collection featuring the American West. If baseball is something that appeals, then catch a game at Coors Field and see the Colorado Rockies hit a few homeruns. It’s a relatively new venue and really needs to be experienced, with a 38,000 square foot double decker rooftop area and VIP terrace not to mention the 52 craft beers waiting to be sampled! Denver also has one of the largest water parks in America so head down to Water World which stretches 67 acres of land with slides and rides for people of all ages. One of the best is the long Lazy River but go armed with. Shopaholics in Denver won’t be disappointed; there are so many malls and boutiques to spend that hard-earned cash! Visit Cherry Creek Shopping Center with plenty of retail shops and small, independent boutiques for a unique shopping experience. Downtown, try Rockmount Ranch Wear for Western-style clothing or the Rhinestone cowboy look! Larimer Square is another great place for authentic cowboy wear especially leather cowboy boots. There’s also furniture, hats, t shirts, accessories and more to buy – all Denver style. No one would ever go hungry in Denver because the scope of restaurants on offer is simply enormous! Whether it’s good ole’ American fayre or exotic cuisine, there’s something for every palate. For authentic American cuisine, Acorn which is a blend of old fashioned American food with plenty of modern twists. Italian lovers will really adore Frasca Food and Wine, try the home-made pasta and equally delicious freshly prepared sauces. For a farm to table experience, visit Potager, it’s an old favorite and still high up on the best places to eat list in Denver. A delicious wood-fired pie can be savoured at Cart Driver in Rino and they also serve mouth-watering pizzas. Other great pizza places include Racca’s and Pizzeria Locale. When the temperature hits hot, there’s nothing better than an ice cream to cool down and the best place to enjoy one is Sweet Action for its sublime, one-of-a-kind flavours. Or try Sweet Cow for the creamiest, dreamiest ice cream in town. Coffee lovers can order pretty much any roast possible from the Black Eye Coffee Cap Hill which is a pleasurable place to sit and enjoy the daily newspapers and for beer, visit Black Shirt Brewing in Rino, there are almost too many to choose from! For sushi go to Sushi Rama where the fresh sashimi and platters of inside-out-rolls will really hit the spot and to enjoy a late night burger, head to Meadowlark Kitchen for tender all-American plates piled high with French Fries and crispy, fresh salad. Speak to our dedicated concierges team to arrange for dinning options from your choice of any Denver restaurant during your charter flight out of Denver. The Bolt Jets experience is second to none and we know that all of our private flights and helicopter hires to Denver are the best possible. With our dedicated, knowledgeable concierge team always on hand to assist our clients, every trip goes smoothly and delivers a superior level of service. Planning a corporate trip to Denver? Bolt Jets are the leaders in American private aviation, with private charter flights and helicopter hires available from anywhere worldwide. 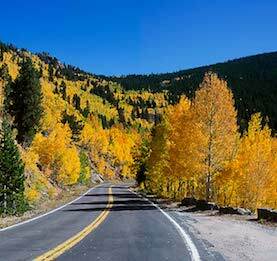 Leave it to us to organize every detail of any business trip including advising on the local area, suggesting the best hotels to stay at in Denver and even booking onward journeys. We want every business trip to live up to expectation and that’s why there’s no better choice than Bolt Jets. There are different airport options when chartering private jets to Denver.